but it doesn’t mean they’re not after me! 1. No computers are located in the back of the junk shop: the area in question is chock a block with records. 3. I rarely, if ever, blog from the junk shop. This may very well change. Barack Obama promised change and I, feeling a fresh breath of empowerment and moxie, instituted a little change of my own this weekend. 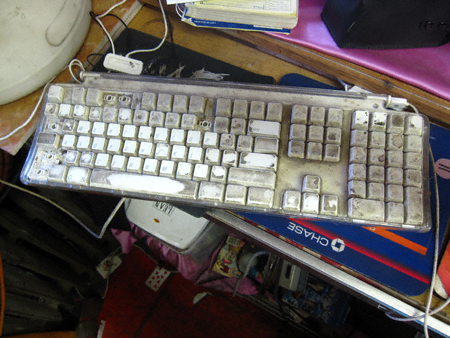 Behold, Junk Shop Keyboard 2.0! What you are witnessing is an the product of diabolical ingenuity. 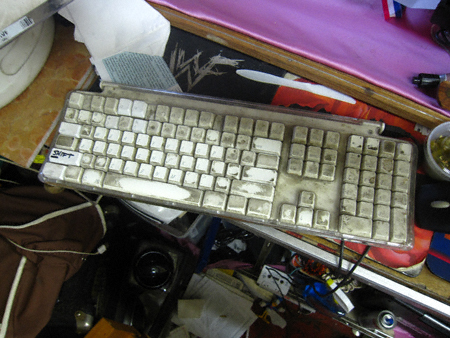 I cannibalized an old Mac keyboard so as to replenish/rehabilitate the current one. 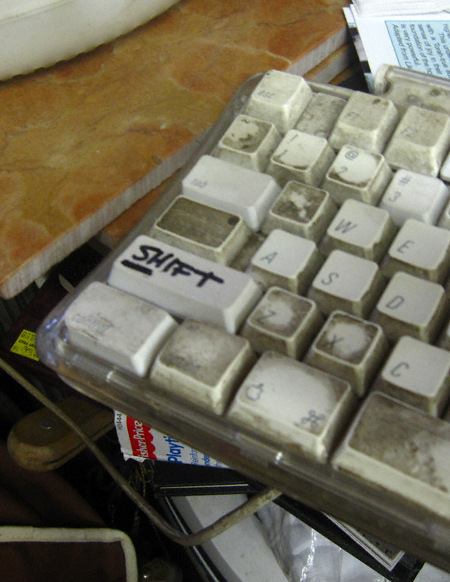 When faced when an obstacle (such as the lack of a left-hand shift key on both keyboards) I persevered and improvised. Which beings me to the diabolical part: after some field testing I deduced that most of the keys work. MOST. I’ll leave it up to my fellow imp to figure out which ones they are!